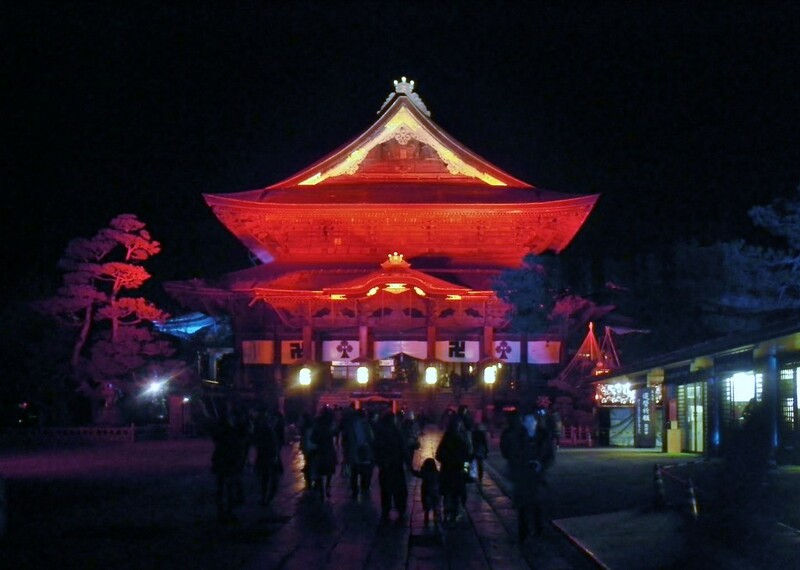 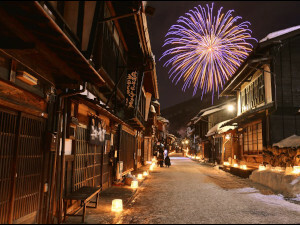 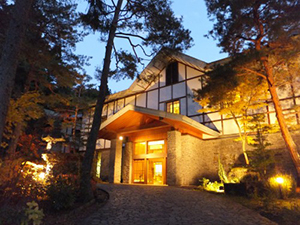 As host of the 1998 Winter Olympic Games, Nagano remains proud of its Olympic legacy and since 2004 has commemorated its most celebrated winter with its annual ‘Tomyo’ Lantern Festival. 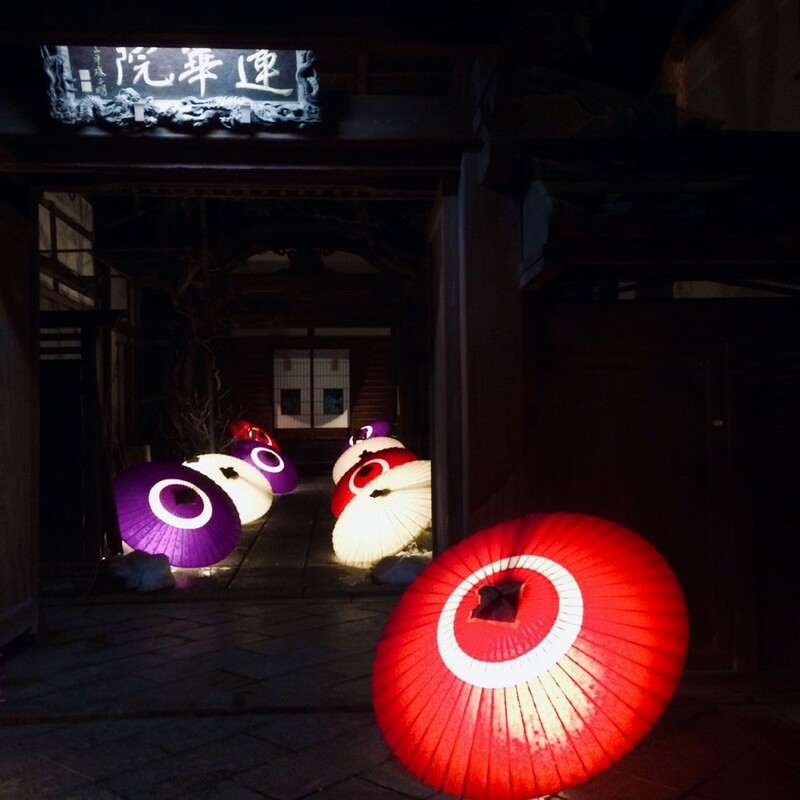 Running from February 6th to 11th 2019, this year’s festival will again see the city’s historic Zenko-ji Temple precinct come to light as the temple itself and preceding Sanmon (Mountain Gate) are bathed in the Olympic colors. 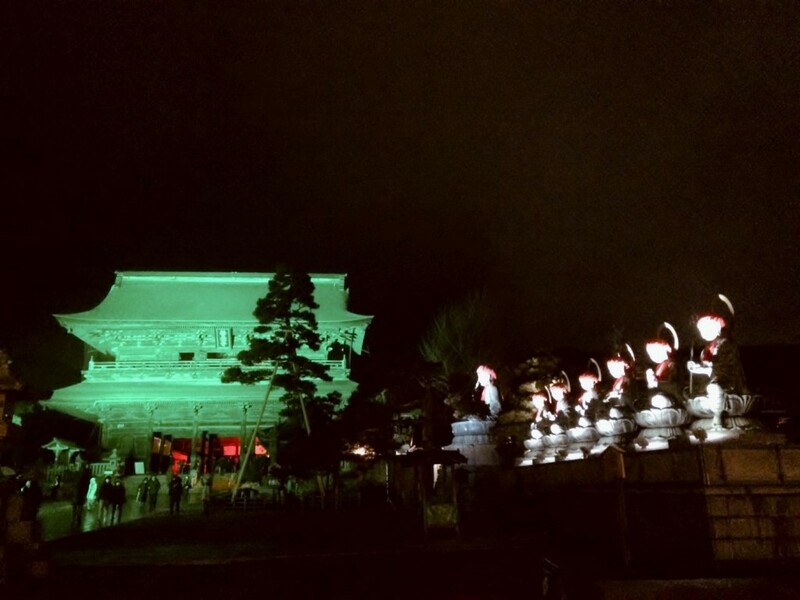 The word ‘tomyo’ means to offer light to the Buddha and as such, the temple which has stood (in one form or another) for nearly-1400 years takes its familiar role as the heart of city and chosen location to celebrate the city’s most celebrated moment in modern history. 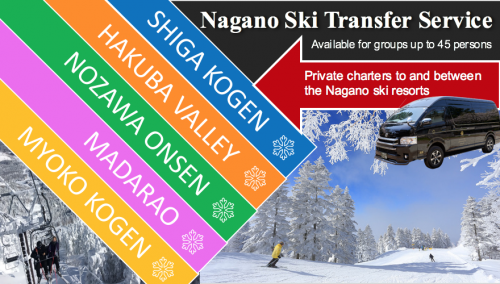 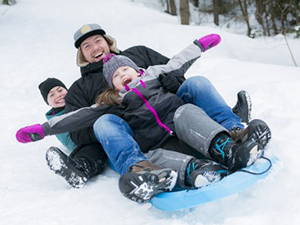 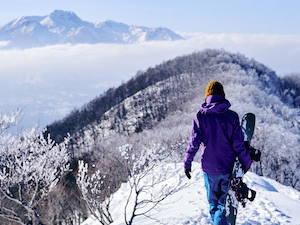 Held between February 7th to 22nd 1998, the Winter Olympics were considered a grand success which brought Nagano to international attention and firmly established it among the pantheon of winter sports meccas around the world. 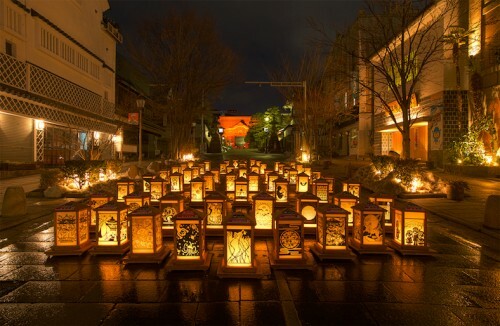 In celebration of just that, the festival takes places over one week with a series nightly events including the lighting of the temple and decoration of the historic ‘Omotesando’ (Piglrims Road) and Nakamise (shopping street) with hundreds of paper lanterns. Designed by local artists, hobbyists, and school students, these delightful ‘kiri-e’ paper lanterns are adorned with four images on their sides and back-lit with a candle, setting a magical, shimmering atmosphere in the cold winter night and in leading visitors toward the temple and its hidden Buddha statue. 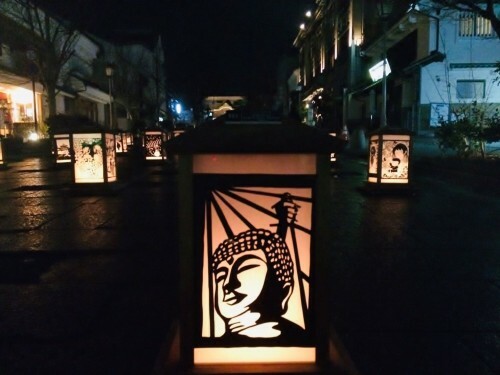 The inclusion of both professional artists and local school children in creating the numerous lanterns underlines its community spirit and blends the abstract with the literal, traditional images with the cute. 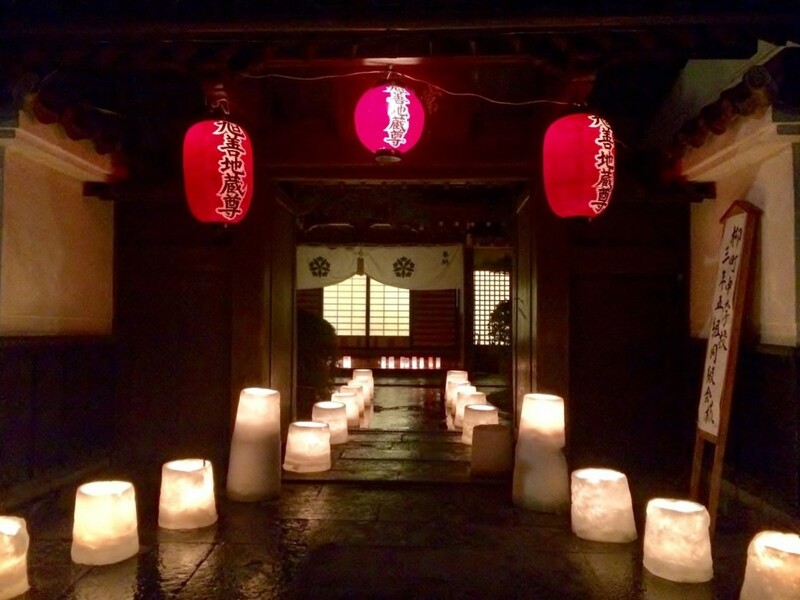 This beautiful festival may seem simple in its design but has a strong religious basis in the offering of the light to the Buddha. 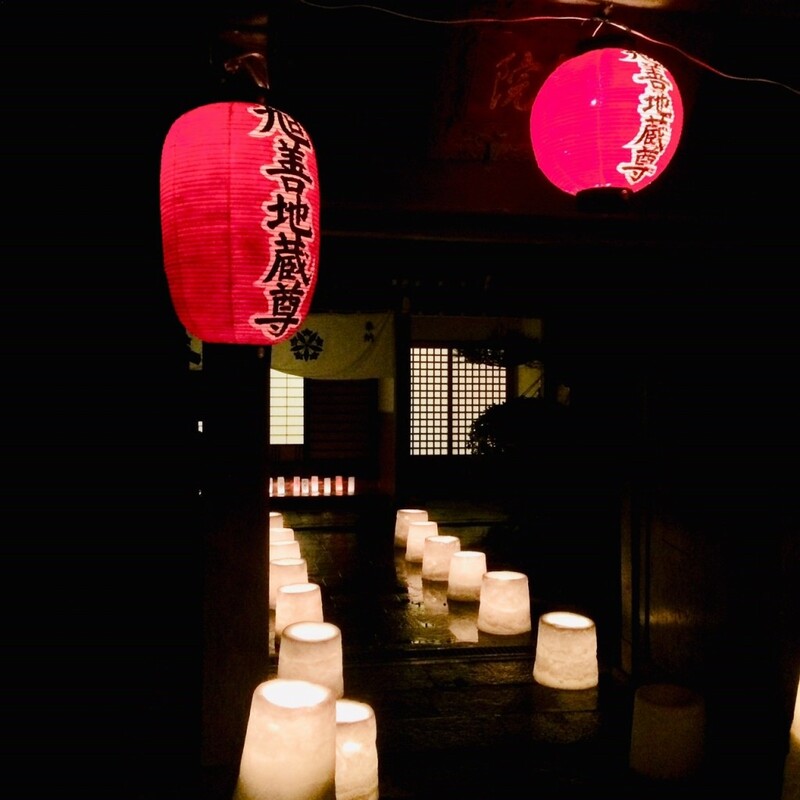 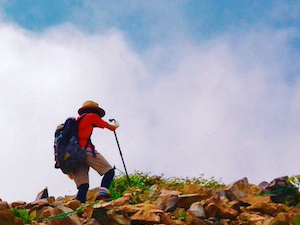 In Buddhism, making offerings to the Buddha is regarded as a principal practice – along with meditation – and symbolizes an awareness of our own limitations and need to forgo selfish thoughts and acts. In making an offering of light to the Buddha, we invite the light of wisdom which radiates from him, to illuminate the dark and dispel ignorance; and in doing so, Buddhists believe we win merit, eradicate past misdeeds, and light our path toward enlightenment. That religious foundation underpins this simple community festival which is open to all and for Buddhists and non-practitioners alike, is a popular destination in the cold nights of early February. 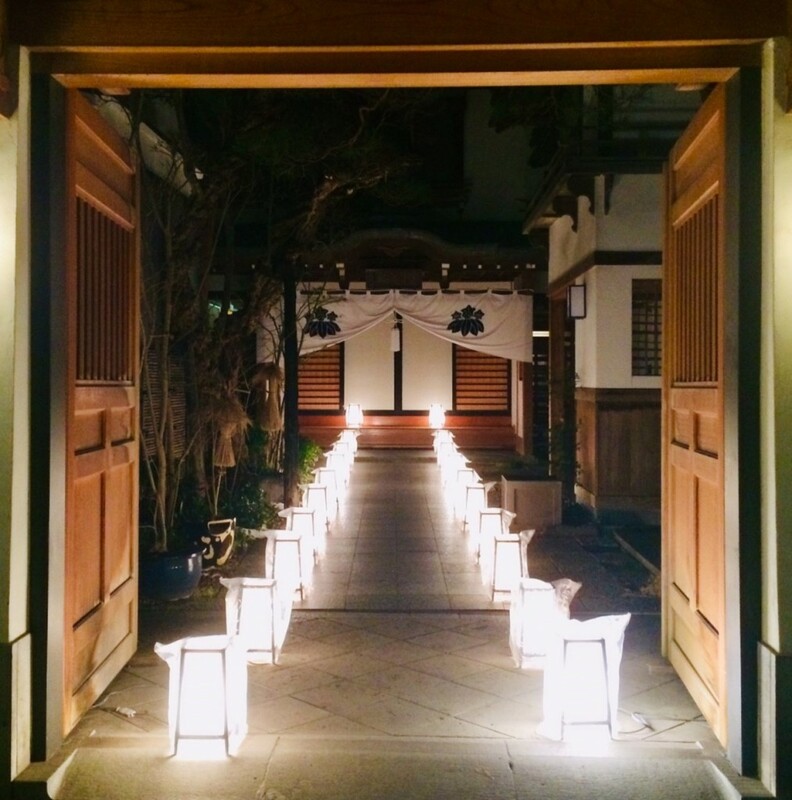 In addition to the illumination of the temple and lighting of countless paper lanterns along the street, many traditional ‘shukubo’ (temple lodgings) that line the streets surrounding the temple open up their courtyard doors and exhibit light installations for visitors to enjoy and photograph (as pictured above and below). For many, these delightful displays of traditional aesthetic brought to light with modern flair represent the highlight of the festival, imbuing a dream-like atmosphere on the precinct and magical element to their evening wanderings. 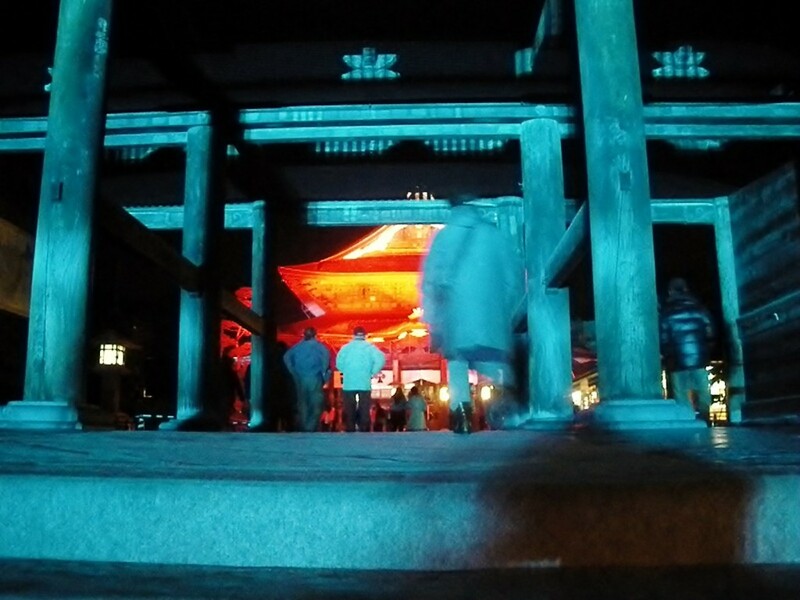 Just remember to bring your camera or phone as these delightful display of color and light set against the dark shadows of night, are highly photogenic and will look great on your Instagram account! 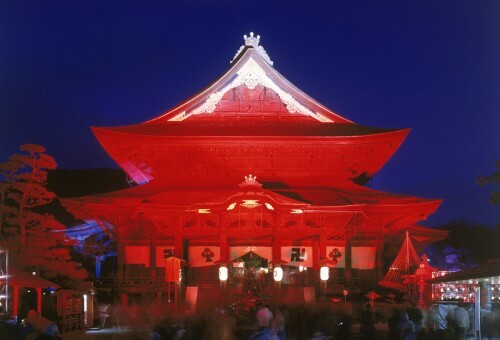 With music events, some food stalls, and ‘sake’ vendors onsite, the atmosphere is open and lively, as one of Japan’s most active and welcoming temples takes its familiar role as Nagano’s cultural and spiritual heart, and lights up to celebrate the Olympic legacy the city is so proud of. Nagano’s Tomyo Lantern Festival will take place at Zenko-ji Temple each night from February 6th to 11th 2019, from 6PM to 21PM and admission is free. The temple grounds are easily accessible from JR Nagano Station (via the Zenko-ji Exit) on foot, by bus, or by taxi. 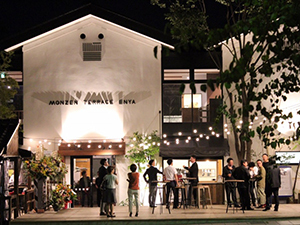 For further information regarding access to the temple please refer our activity page.